Fine, natural sea salt created by pumping sea water from deep within the bay, only on the night of the full moon. 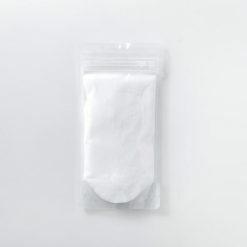 Full Moon sea salt is harvested from the sea water surrounding the coral reefs of Nagura bay on Ishigaki Island. This salt is natural and rich in in ocean minerals. It is said that minerals circulate aggressively during the high tide on the night of the full moon. 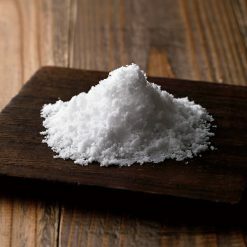 Because of this, Full Moon salt is abundant in minerals and therefore provides bold flavoring for dishes like steak, BBQ, Sashimi, rice balls, etc. “Mangetsu” Full Moon sea salt is harvested from Nagura Bay, located 500km away from the main island of Okinawa. Production Method: Reverse Osmosis Membrane, Hirabama.